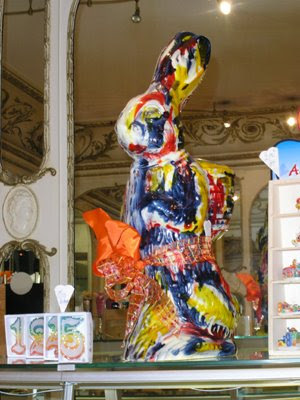 Happy Easter – a fauve Easter bunny in chocolate! joking apart, animals are looming large on my horizon…sphinx, owls & now chocolate bunnies? That is one jazzy bunny – Happy Easter!